Like birds feathering their nests with tiny twigs, humans wing home with coats, keys and other small items in their pockets. Quick and easy storage helps keep them at hand, which is why Nest provides a container and a coat hook in one. The holder is sized to contain urban essentials such as keys, change, tokens and cards, providing a hideaway where pockets can be emptied of small items that need to be quickly retrieved. 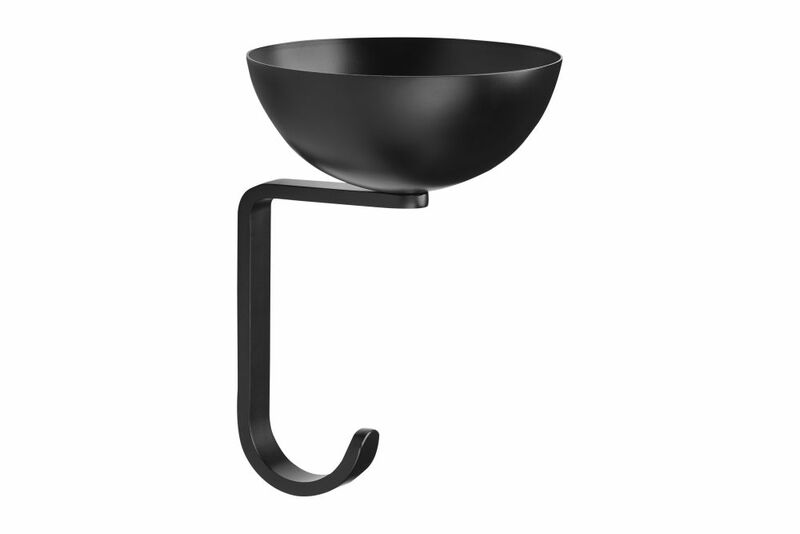 The hook is sized for hanging coats, scarves and decorative objects. Available in four colours, Nest is easy to match to interior walls, columns and other internal dividers. Like a nest in nature, the product blends into its surroundings, all the while providing a natural place for essential items. A graduate of the Bergen Academy of Art and Design, Stine continues to live and work in Norway’s west coast city of Bergen. Stine debuted on the Norwegian design scene just a few years ago, and since then, has produced a range of furniture and interior accessories that industry insiders describe as ground-breaking. Some say Stine remains true to the Nordic tradition of wood craftsmanship; others say she has set a new standard for the craft. Stine’s eye for colour is unique. She works with finishes that echo design trends, but more importantly, chooses tones that bring out the product’s personality. Stine’s spectacular Oaki chair for Northern is loaded with character, and available in finishes that highlight its sleek silhouette.